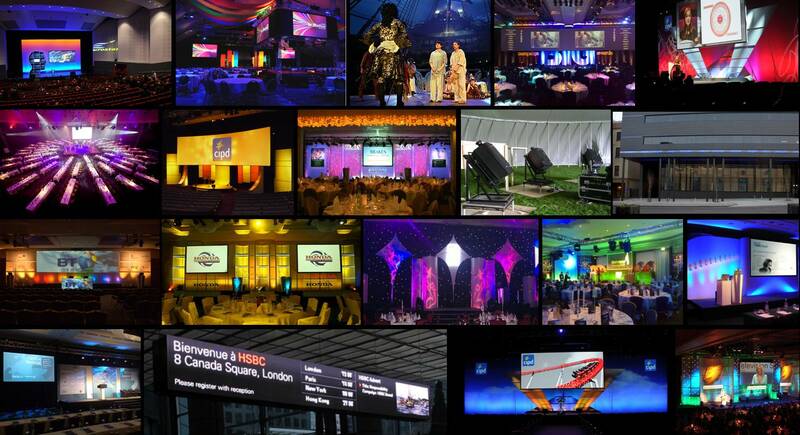 It’s not every company that can put on a great show, in its own backyard, to over 150 clients, guests and partners. Last month we did just that, transforming Stage 7 at the iconic Elstree Studios into an audio visual showcase to demonstrate our presentation and systems integration capabilities. Here are the Open Day highlights; our very own “Top 10”. 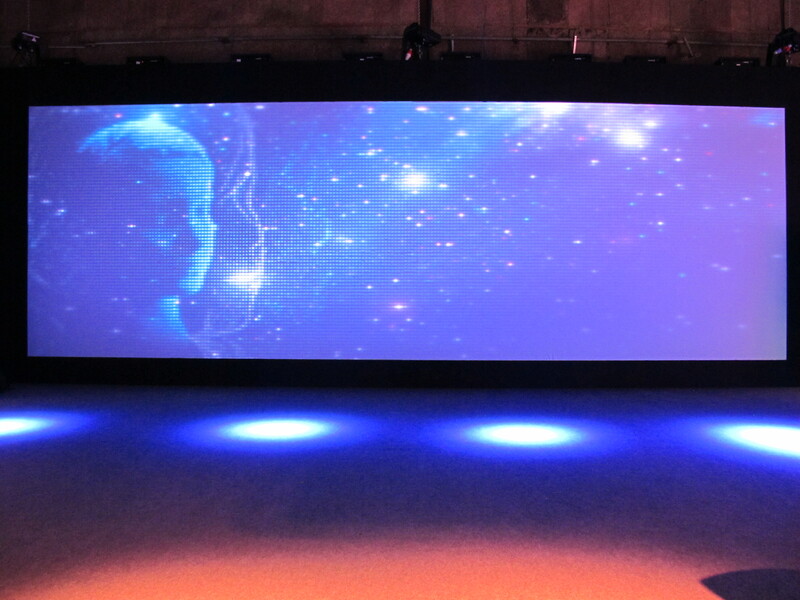 Create a scenic sensation with our proprietary presentation technology, “Scenic Fusion”. A stunning, flexible, LED wall combined with widescreen HD video technology that will transform not only your stage set but your live event. Deliver key content in an exciting and memorable way to engage your audience. No two presentations need look the same ever again! Multiple positions and pictures in pictures (PiP) give presenters the freedom to interact with their data. 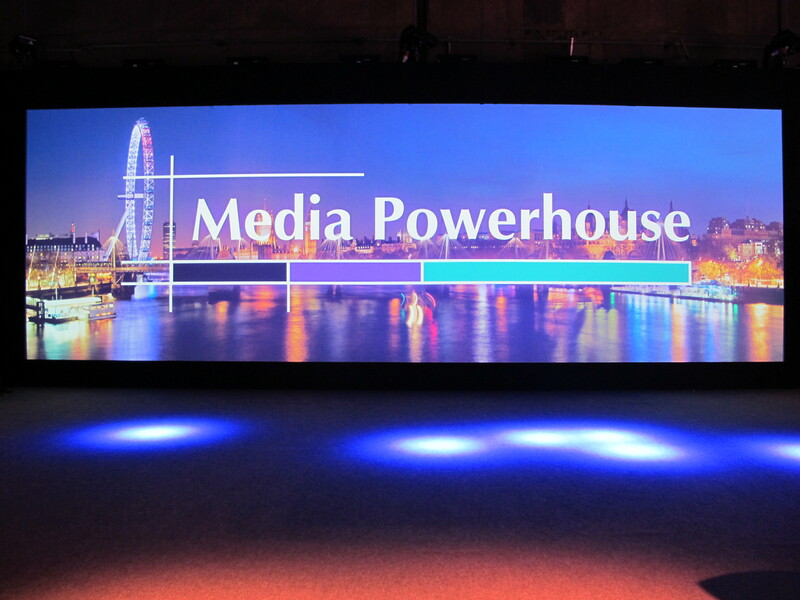 The fusion of HD projected imagery and low resolution LED creates an inspirational presentation solution, unique to Media Powerhouse. 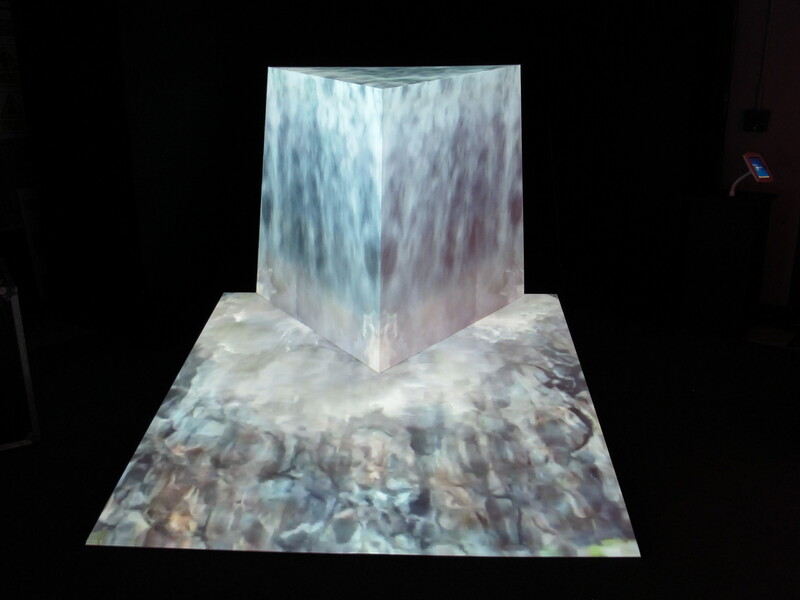 True pixel mapping combined with 3D perspective video produces spectacular scenic creative opportunities. How about arranging for your keynote speaker to appear on stage through a waterfall? Or, for your logo to float and spin mysteriously in thin air? One projector, one solid 3D object, one video source and lots of design imagination mixed with our technical expert is all that’s needed. 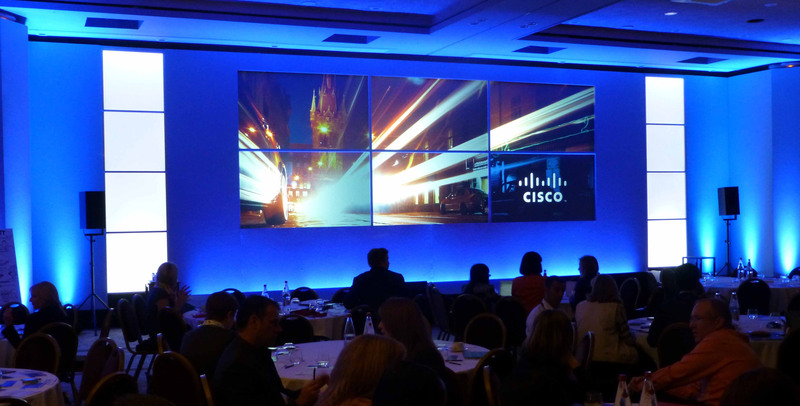 Scenic pixel mapping is another presentation innovation available exclusively from Media Powerhouse. Our lighting features some of the newest LED technologies available in the market. Profile, wash or floods we’ve got access to a vast range of moving and generic lights at competitive prices. 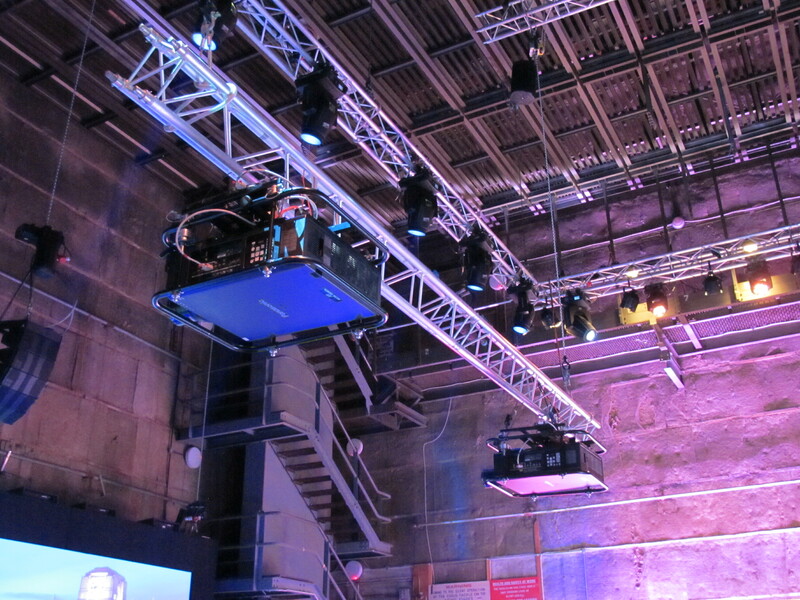 We hold a comprehensive stock of Prolyte modular trussing, ideal for conference, arena and staging solutions. 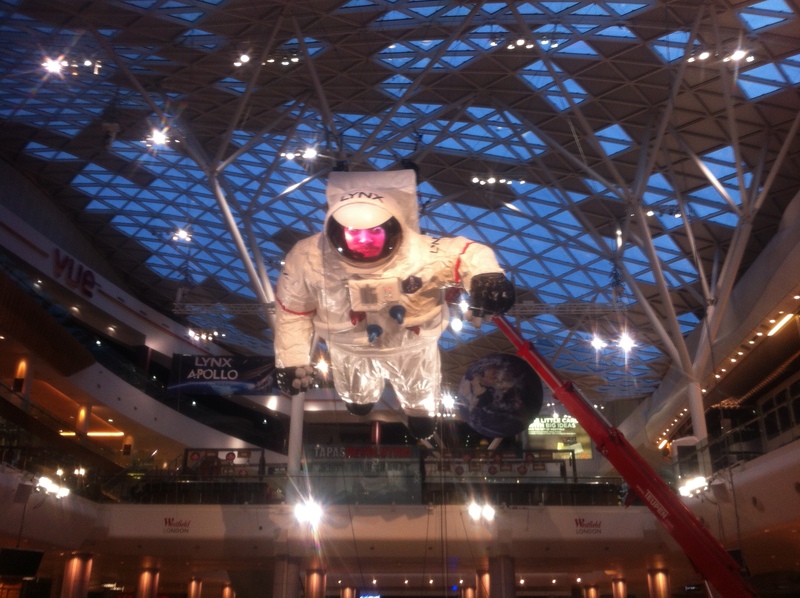 With one of the most advanced rigging operations in the UK we are regularly involved in finding structural and rigging solutions for our clients. “Responder” – smart audience polling, voting and interaction. 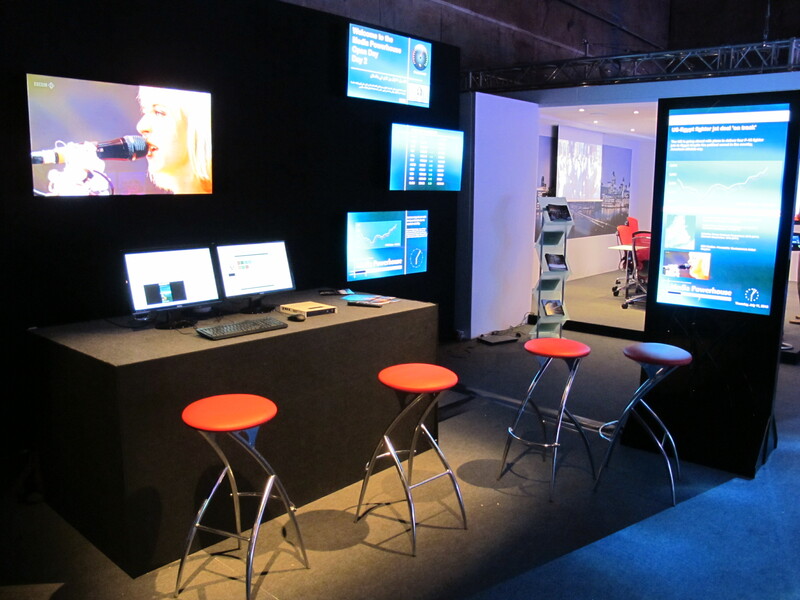 A cost effective, flexible, interactive audience response system using iPads and custom microsites. Responder enables you to include your audience in the event, questioning speakers, responding to questionnaires or streaming live commentary and feedback. It takes live events to a new, collaborative level, making the message that much more powerful. ViewLight is our flexible, funky, stock set product where flair is not sacrificed for economy. Designed to be quick and easy to assemble, colourful and fresh, ViewLight is a great set solution for product launches, corporate events and parties. Create and distribute corporate content and live data, locally or globally, to networked displays in an intelligent, adaptable and interactive manner. All done with our strategic partner, Omnivex, leading manufacturers of sophisticated digital signage products. 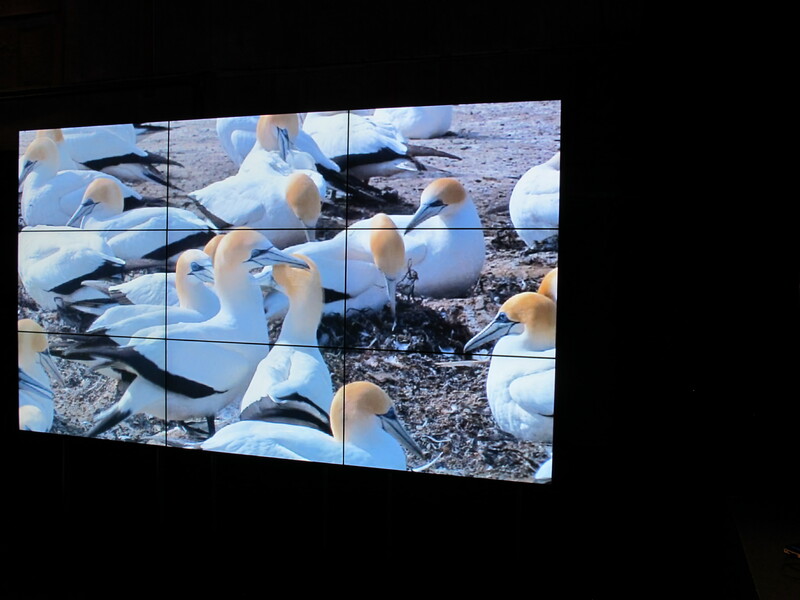 46” NEC video wall, 1920 x 1080 resolution with ultra-thin profile and only 5.7mm between content. The latest NEC MultiSync® displays can be built into a wall of up to 83m2 and are loaded with features that make simple, instant calibration and heat management, LAN servicing, easy mounting and alignment a reality. Corporate life is fast-paced and colleagues need to be able to communicate locally and remotely without having to constantly refer to the IT team for assistance. 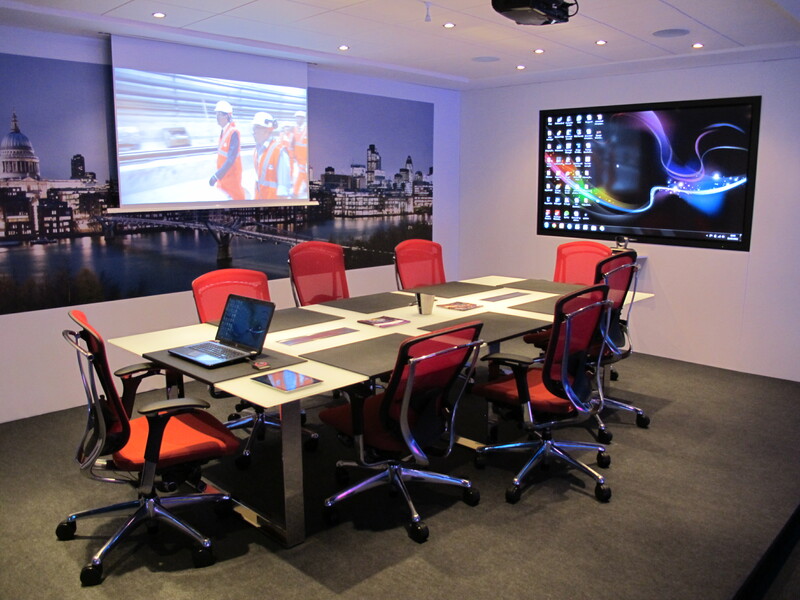 Our Digital Boardroom includes Clickshare, which enables up to 50 participants to connect and share content, literally at the press of a button. No more cables, no more function keys, no more wasted time. In addition, high definition, multipoint, video conferencing and interaction which is scalable and efficient, delivered over general data networks and the internet, using off-the-shelf devices, via our technology partners, Vidyo™. Now you can stream your CEO or the Executive team not only in high definition but also 3D, around the building and the world to communicate your message or launch the corporate results. It’s neat, efficient and more practical than you would imagine. Arriving in 3 standard equipment cases with a Media Powerhouse broadcast engineer and vision director, not an expensive crew and 2 large trucks in the car park. Up to 16 HD cameras can be accommodated with the signals going into the portable production unit along with all other elements. Smaller scale events are handled with our flypack, operated by a single broadcast engineer, accommodating up to 3 HD or 3D cameras as well as other elements. While iPTV has become a key part of most large corporate installations, especially for media businesses, we are also finding ways to use the technology effectively in hospitality, entertainment and event scenarios. 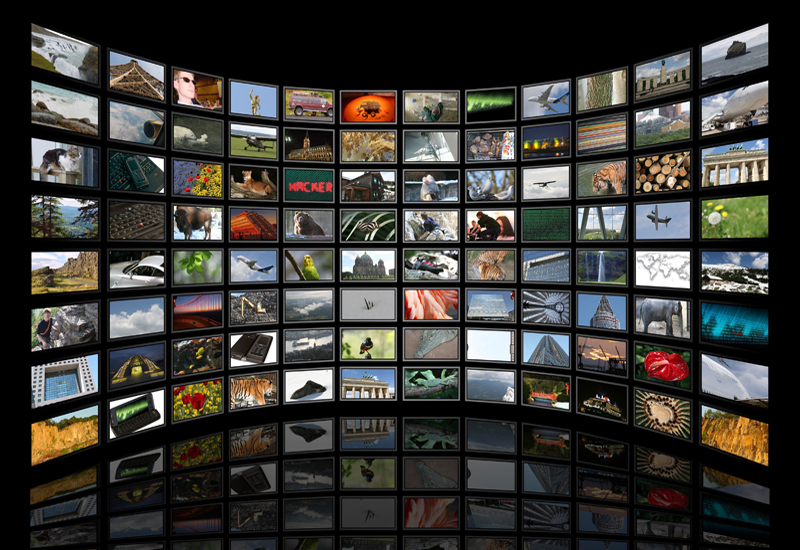 With our technology partner, Exterity, we deliver TV across standard CAT5/6 networks and HD video in a variety of forms. See you at the next Open Day. In this second post we’ll dive into five more factors that will make or break the event. A classy venue, motivational speaker and great message can be killed by a poor technical team delivering the event. 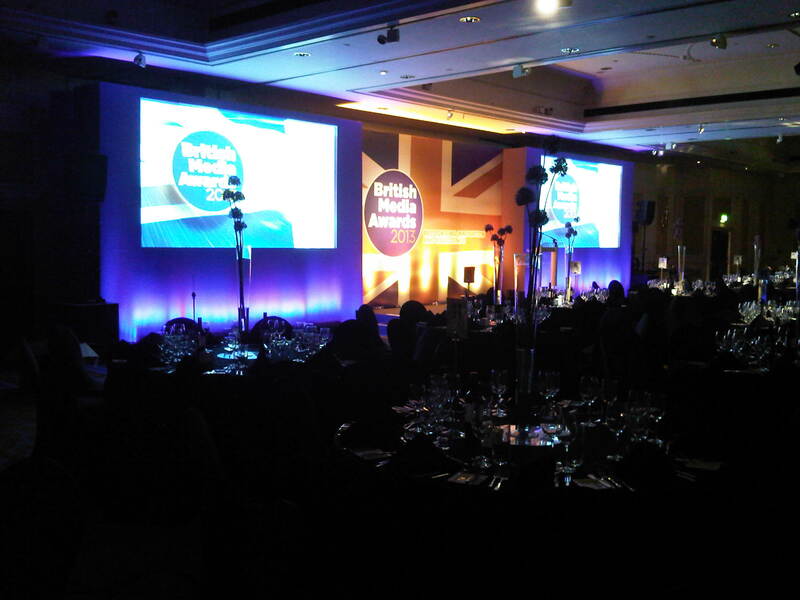 Ensure you, your event manager or communications agency select a good, experienced technical team to produce the event. Even the smallest event is a coordinated presentation of several technical disciplines: video, sound, lighting, rigging and staging. 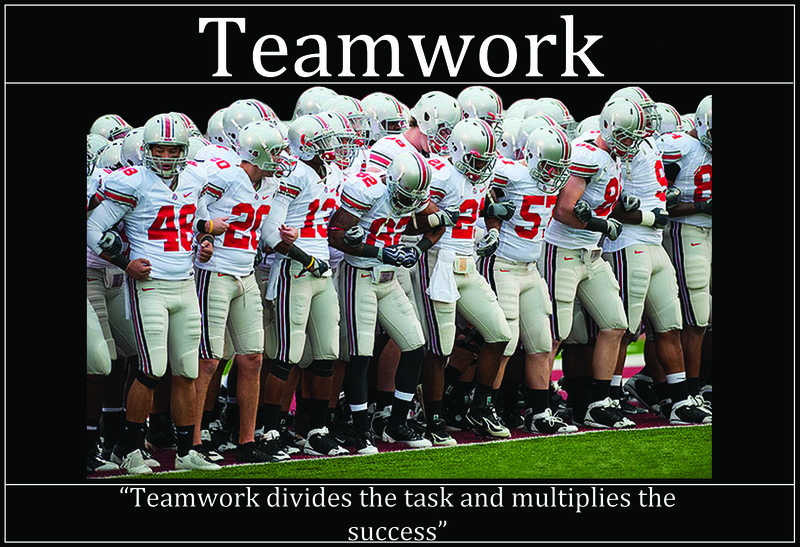 Each one has to understand what they are required to deliver, when to do so and how they interact. A successful event is the product of good communication between the client, the agency and technical team. While e-mails are likely to be the main method it is often more efficient to meet face to face or via conference call. 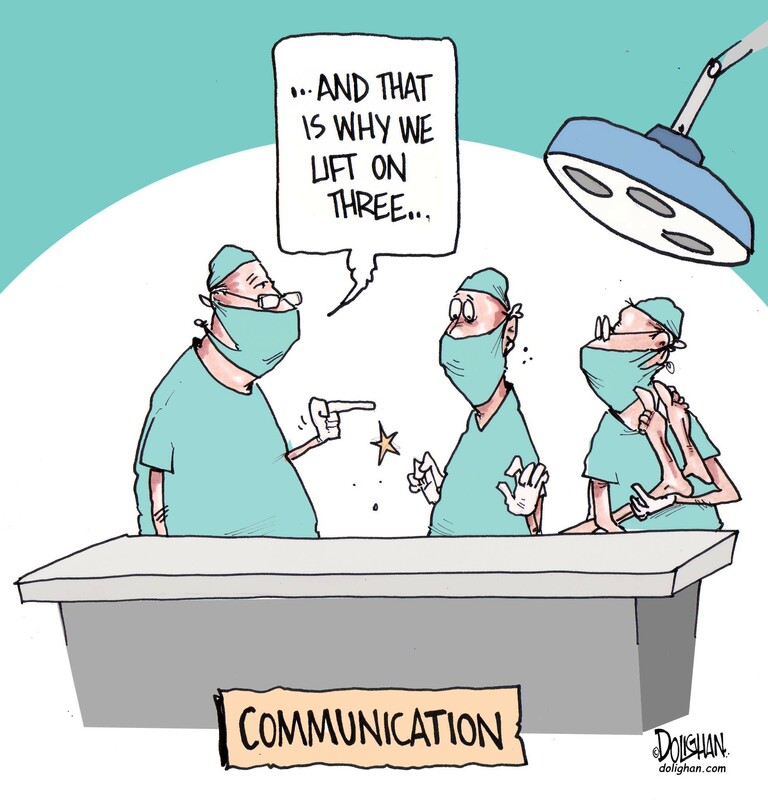 It’s difficult to over-communicate! Live events in the build up state can be dangerous places, but these risks are minimised through a professional and robust approach to health and safety. 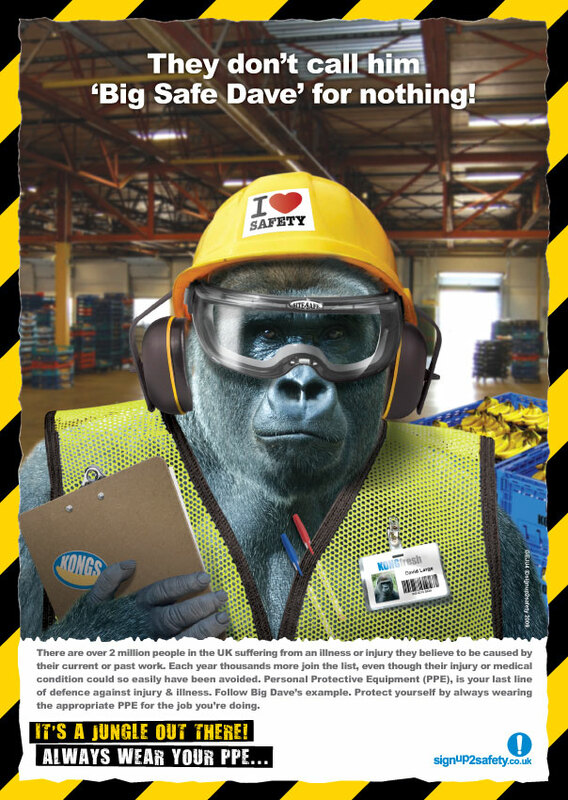 If your technical partner does not take health and safety seriously, you have the wrong team! Create detail room plans, elevations and section with detail for H&S, giving carefully consideration to fire exits. Delivering a successful event does not happen by chance and equipped with these 10 Tips you will not need to rely on serendipity for your next event. According to Eventia, the events and live marketing industry trade organisation, in 2011 there were 1.3m UK business events attended by 103m delegates, 57% of which were for the corporate sector. AV Magazine, the UK’s leading audio-visual publication for end-user and trade AV buyers, reported UK spend on events production and staging in that year was £600m of a total AV market of £2.8bn. While these numbers are estimates, it is clear that the public sector, charities and company management teams place considerable value on live events to communicate with stakeholders, customers, prospects or suppliers; spending significantly in time, effort and money in the process. The Media Powerhouse team works with event management companies, communication agencies, AV consultants and leading venues to create stunning live events for the client. Whether it is a new product launch for key accounts at a top class hotel or a conference for thousands at a major venue we have learned over many years the critical elements for success. In this first of two articles we share 5 of those top 10 technical tips to ensure a successful live event. Audience:screen ratio. In general, a screen should be at least as wide as 1/6th of the distance between it and the viewer on the back row. A screen should be at least 0.3m below the ceiling and 1 metre above the floor. What are the key messages you wish to communicate and how will you present them? When it comes to housing the mantra is “location, location, location”. 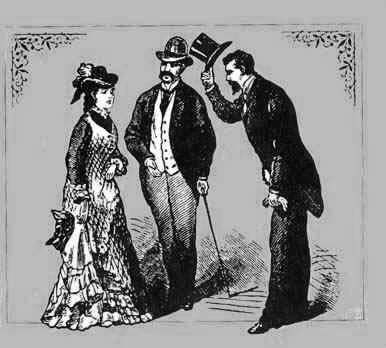 Similarly, an event may disappoint, or even fail, due to an unwise or inappropriate choice of venue. Does the venue have the right style or vibe? Is it in keeping with the audience and the message? 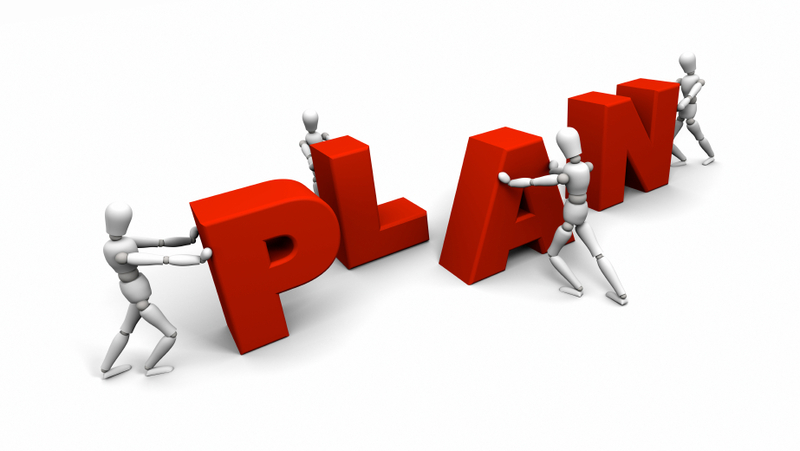 As Yogi Berra, renowned US baseball coach commented, “If you don’t know where you are going, you’ll end up someplace else”; so a good plan, developed by an experienced team, is vital. Remember that de-rig and load out can be as complex and time consuming as set-up and may have additional constraints especially in popular venues or late at night. In summary, if you clarify objectives, agree content, choose a great venue, plan carefully and schedule realistically you’ll be starting well. In the next article we’ll share the other five technical tips for event excellence. At Media Powerhouse we are big fans of Swiss artist Felice Varini, pictured below. Some may be less familiar with his work as he paints in an abstract manner on architectural and urban spaces, such as buildings, walls and streets and, until this month, none of his work has been in the UK. 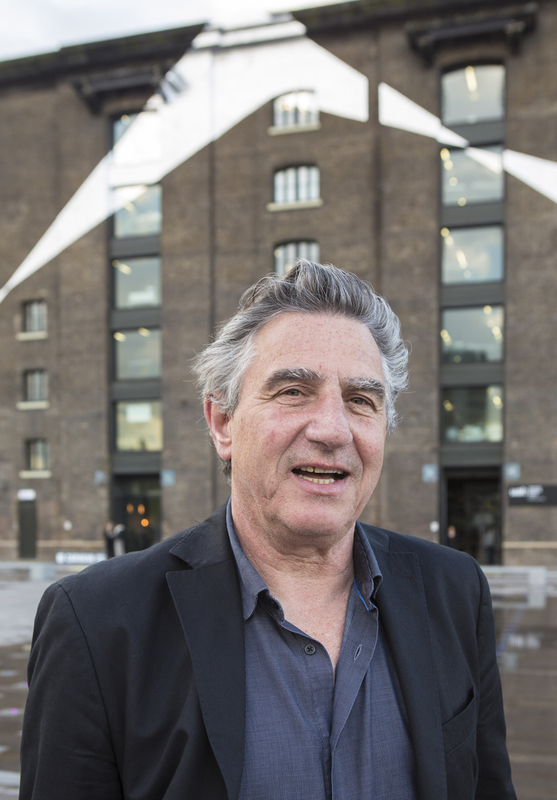 Our Special Projects team were fortunate enough to work closely with him to create his latest, and first UK landmark installation, in London, “Across the Buildings”. 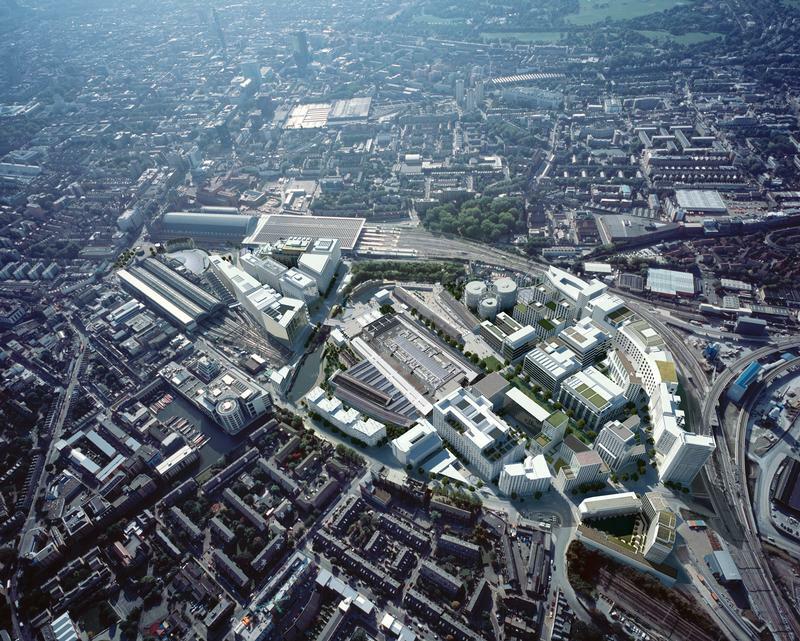 The 67 acre King’s Cross development, backed by leading property development company, Argent LLP, is transforming the living and working space for 45,000 people by creating 50 new buildings, 2,000 new homes, 20 new streets and 10 public squares. 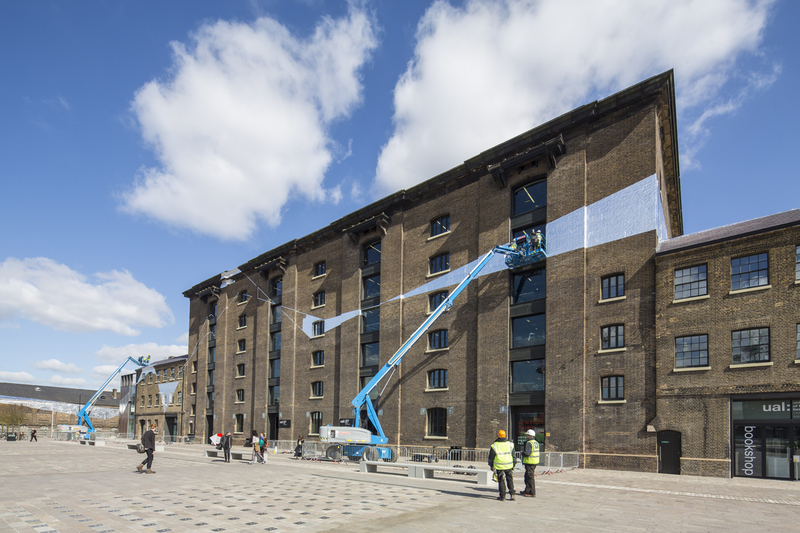 The RELAY arts programme, funded by the King’s Cross Central LLP and supported by Eurostar, commissioned Varini to install this colossal artwork across several derelict buildings as a way of encouraging people to discover the continually transforming public spaces at King’s Cross. The installation involves a number of enormous geometric shapes overlaid onto the facades of these distinctive buildings. It covers 2.5 square kilometres, spanning 542 metres across nine buildings and structures on the 67 acre site. From street level, the shapes appear to be randomly placed on the front of buildings such as The Granary Building, the Fish and Coal Offices and the Midlands Goods Shed. However from a single, specific point, they unify and form one continuous pattern. 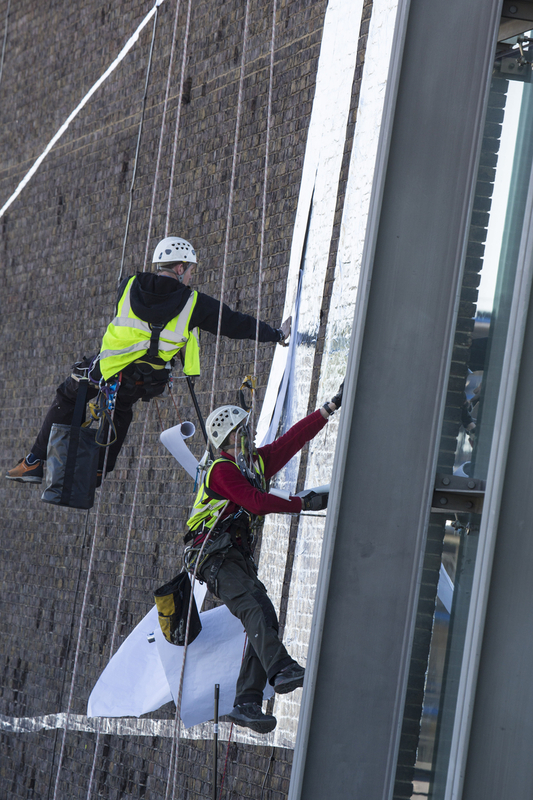 Turning Varini’s vision into reality required a substantial on-site team working up to heights of 23 metres on Victorian buildings each with specific access issues and differing surfaces, many of which were listed. Due to its scale, effective project planning was key to a successful delivery. To achieve this we collaborated with multiple agencies, including English Heritage, Camden local authority, and various construction partners on three building sites, as well as the artist himself. One of the first requirements was to build the viewing platform that would allow the public to look at the installation from the correct perspective. It was also vital to enable the artist a line of sight to confirm location, geometry and the right perspective as we worked. The installation required the application of silver aluminium foil, sometimes at precarious angles, to the building and surfaces; creating a stunning visual effect, changing as daylight conditions adjust and while illuminated. 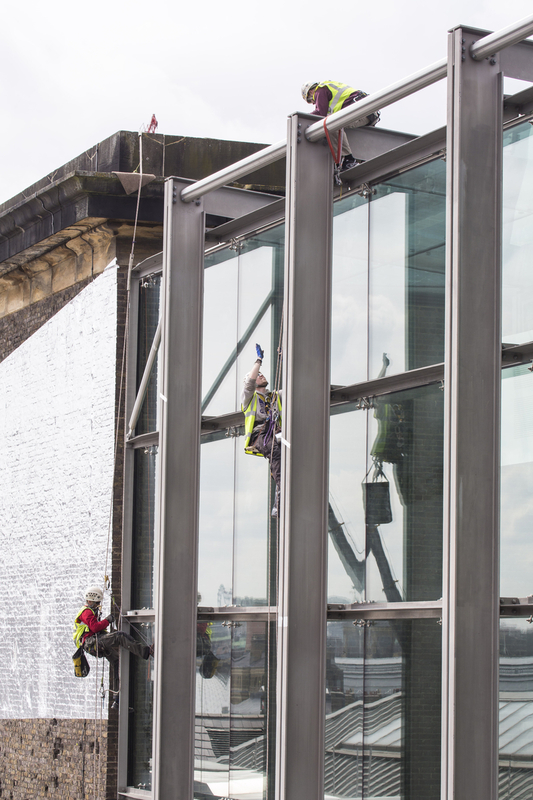 Project Director, Tim Roffey, explained, “to get the job done we had to balance access solutions, scheduling restrictions, the artist’s expectations and, of course, the necessity for a safe system of work”. 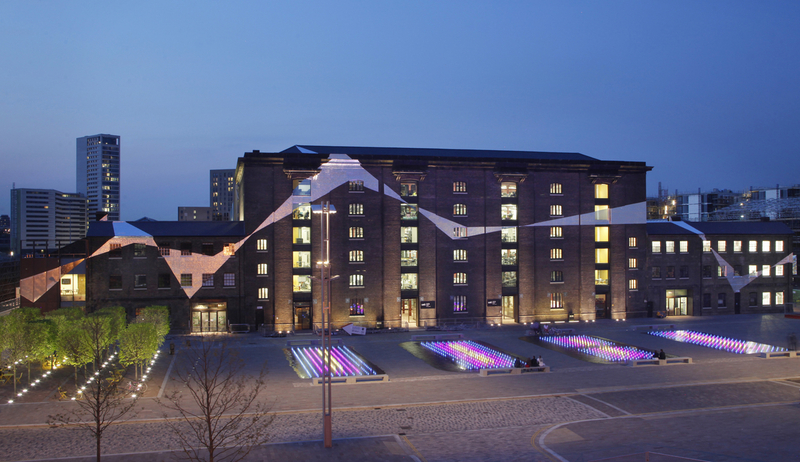 The design frames the Granary Square area, using the heritage buildings at the heart of King’s Cross to host a remarkable piece of contemporary art. It was an amazing experience to be instrumental in delivering such an iconic piece of urban artwork. You can watch this part of the project unfold in an excellent time-lapse video. The sad thing is that Varini’s first UK work will only remain in place until the autumn. We suggest that you do not wait too long before making a visit. Media Powerhouse operates out of 3 locations, the largest being a funky space at London’s famous Elstree Studios. Elstree is home to some of the best shows on British television and producer of the award winning The King’s Speech and Sherlock Holmes: A Game of Shadows. While it may seem that the Media Powerhouse team is blessed with the creative equivalent of “pixie dust” due to our iconic location, we like to think that it’s our long experience and passion for audio visual technology that enables us to make stars of the people (and products) at the live events we produce as we help our clients amaze their audiences. Here’s a brief tip of the hat to our Elstree Studios heritage. Elstree Studios started life in 1914 as Neptune Studio in the small village of Boreham Wood, 20 minutes north of central London. By 1925 it had been bought by two entrepreneurial film producers, re-developed and re-branded as Elstree Studios . 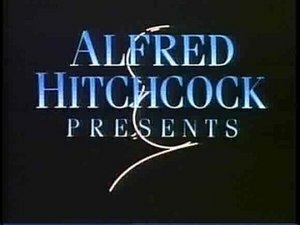 who directed Blackmail, the first British talking movie. That breakthrough was followed by innovations in colour production and multi-lingual films. In the 1930s the studio’s output was prodigious and the screen careers of numerous stars including Laurence Olivier and Stewart Granger were launched. The onset of the WW2 resulted in the studio’s demise and it became a store for ammunition instead of film sets. Warner Bros acquired the facility and re-built it after the war and a raft of Hollywood stars appeared including David Niven, Sophia Loren, Gregory Peck, William Holden and Errol Flynn. In the early 1960s the studio moved away from film dramas in favour of musicals and comedies and became the home of ABC Televison who launched the highly successful TV series, The Saint and The Avengers. and created the Star Wars franchise and an emerging talent, Steven Spielberg, produced the Indiana Jones trilogy. The site was acquired by property developers in the early 1990s who turned into a Tesco retail park retaining a smaller, modern film and TV studio. It finally found itself under the ownership of the community when the local Council fought the developers in court, and won. The Studios have been subsequently restored with millions of pounds spent re-equipping the stages and building two massive new sound stages, which were opened by H.R.H The Prince Charles in 1999. Today Elstree Studios is a profitable and high profile part of the film and television production scene, helping keep “British Hollywood” alive. Recent film productions have included Jack the Giant Killer and The World’s End. It’s also the home of Who Wants to be a Millionaire?, Dancing on Ice, Big Brother and Strictly Come Dancing. 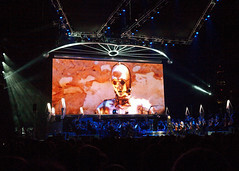 A range of film stages and TV studios from 3,000sq ft. to 16,000sq ft. with the George Lucas stage being one of the highest in Europe at 50ft. 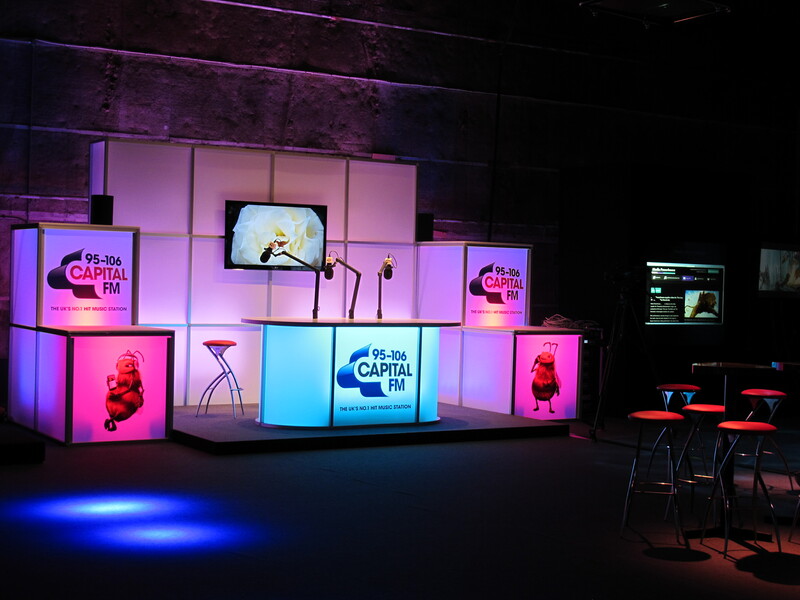 Workshops, extensive production offices, dressing rooms, wardrobe and make up rooms plus 40 onsite media related support services from lighting to post production and special effects, including the Media Powerhouse Scenic Workshop. Excellent access to the local amenities for building materials, shops, restaurants, hotels, bars and 10 minutes from rail connections. 800 car parking spaces, special audience entrances, an event hall for audience holding and extensive on site catering plus space for film trailers. 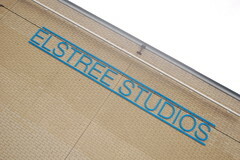 Located just 20 minutes from the heart of London, Elstree Studios is without doubt London’s No.1 studio for any film or television production, tour rehearsal, promo or corporate event. 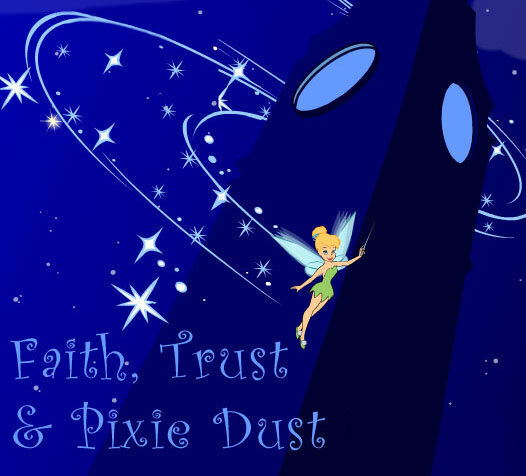 If you’re visiting Elstree Studios anytime soon we’d love to meet you and explain how we might sprinkle some Media Powerhouse “pixie dust” on your event.